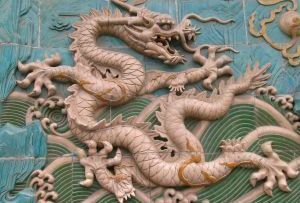 Eurozone: China to the rescue? The International Monetary Fund is to create a 'special investment vehicle' to bolster the bailout pot. Mooted investors include China and other emerging markets. This morning’s EU summit meeting may have been postponed until 4pm but rumours abound nonetheless. The latest news from the Brussels camp is that the IMF is considering creating a bespoke ‘special investment vehicle’ (SPIV, apparently. Dreadful acronym) to allow private investors and sovereign wealth funds to add cash to the pot. The SPIV will increase the firepower of the European Financial Stability Facility (EFSF) by issuing debt and buying up the bonds of indebted nations. About time too: the earmarked €440bn will only go so far, especially with Italy’s financial system in rapid decline, Spain following, and credit ratings dropping like flies. So who will the SPIVs be? Well, according to the Asian press, China is ‘in’. The state-owned China Daily newspaper ran a story today stating that China and other robust emerging economies had agreed to help the eurozone. Some middle eastern sovereign wealth funds are also said to be interested. Fact? Or a round of Chinese whispers? And at what cost? Well, Klaus Regling, chief executive of the EFSF, flies to Beijing on Friday to seal the deal so we’ll know by then. Although the SPIV (and the EFSF come to that) doesn’t address the underlying structural tensions in the eurozone, it’s not a bad wheeze and could buy the member nations some more time. Badly needed as the major players are still a long way from agreeing a way forward. This morning, German chancellor Angela Merkel criticised the current strategy, which involves the European Central Bank (ECB) simply buying up more sovereign debt, imperiously rejecting proposals to ramp up the practice by saying, ‘it is not acceptable to Germany’. Merkel has been taking an increasingly hardline stance as the crisis deepens and the euro staggers on the brink. She has been battling French president Sarkozy and Italian prime minister Silvio Berlusconi over the size and scale of the bailout. Although she and Sarkozy were briefly united in disapproving of Berlusconi, who has neglected to meet his financial targets through the austerity measures proposed in July and September this year. Berlusconi is in deep trouble at home too. News of his imminent departure from power is plastered all over the newspapers. He is – allegedly – to step down in December or January as part of a deal with key coalition ally, Umberto Bossi, leader of the Northern League. If Bossi doesn’t embarrass him in Brussels, he’ll hand over the reins of power. It’s like a political version of WWF over in Brussels at the moment. There are three separate issues to thrash out this afternoon. Firstly, on the bailout fund itself: how can the EFSF best be used? Will the SPIV actually work to boost the fund’s pot? Secondly: what kind of haircut will the banks have to take on their holdings of Greek debt to prevent Greece’s economy flatlining completely? Greek officials are hoping the haircut will take 50% off the nation’s current mullet of debt, while its holders are doubtless hoping for a rather less severe trim. Lastly, the EU summit must decide how much money the banks need to raise to prop up their balance sheets once their Greek debt – and possibly the bonds of other indebted nations – have been written down. EU finance ministers this morning decided that €100bn should do it but this doesn’t allow for the respective sizes of affected banks, or outline any details. Most of this €100bn (to be invested by commercial investors, national governments and the EU's bailout fund) is expected to get pumped into banks in Greece, Italy, Spain, Portugal, France and Germany (in pretty much that order). No official announcements on the solutions to any of these issues will break until after the markets close tonight. But the Telegraph’s Brussels correspondent says that French reporters are bringing spare underwear to work today on the expectation they will be in for a long night.